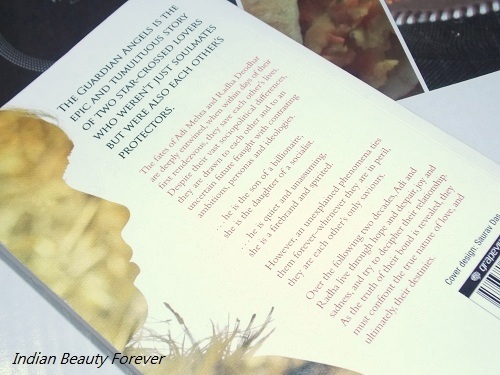 Today’s post is a bit hatke as I will not be talking about anything related to makeup, beauty, tutorial etc but a book, a novel that I read recently "The Guardian angels" which has been written by Rohit Gore, who sent me this copy to me a month ago but due to some circumstances I wasn’t able to read it. I am glad now that I finally did. I love reading books and have many in my phone but this time it was different as when I started I had this impression that it would be a regular story where the guy meets the girl and something magical happens and so on. Countless novels, movies revolves around the same idea, so, having that notion with me, I started off and honestly in a couple of pages, I thought I won’t be able to continue but after some more pages, it captured my interest. It’s a story that revolves around Aaditya Mehta and Radha Deodhar, former is the son of a millionaire and she is the daughter of a socialist who meet because fate wanted them to. It’s a story where there is a beautiful relationship with a very strong bond. I will not be spoiling by revealing much even if it isn’t a suspense thriller etc but reading when you don’t know what’s going to happen, keeps you intrigued. What I really like was the narration which was in the form of Radha’s journal, their E- mails etc but the way in which the story was told is something to praise for. 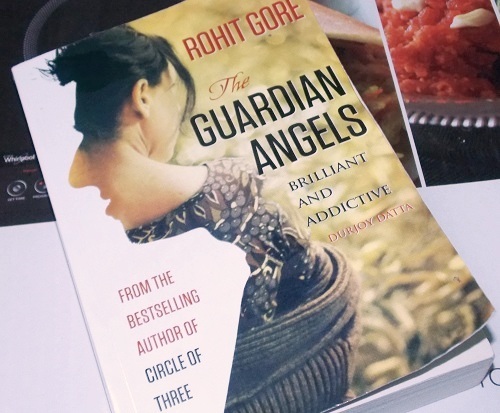 Author (Rohit Gore) has done fabulous work when it comes to detailing, making the characters come alive that leaves an impression on you and while reading you actual believe and feel for them except for few minor incidents which looks exaggerated. Story had a perfect pace where the readers can absorb and could feel, what the characters are going through due to which nothing appears as superficial The best part is even after you finish the book there is a memory that lingers on to you and thoughts that keeps on flashing every now and then. Unlike some books that you read, finish and forget! After reading this, I would really like to go and read his previous ones as I think he has done a great job with “The Guardian angels”. Great review will like to read it now. I will be glad if u do! Sounds like a great Read dear! I dnt read books but it sounds great. .. Thank you dear. <3 Do read it! Thank you Swati! :) Do read this.